New York-based shared workspace provider WeWork has entered the Mumbai market, two months after it set up a co-working space in Bengaluru. The world’s biggest co-working startup unveiled its second space in India at Bandra Kurla Complex (BKC) in Mumbai, the firm said in a statement. The hub has more than 1,900 seats spread over 1.9 lakh square feet, it said. WeWork BKC offers its members three types of memberships, starting at Rs 18,000 per month. These include Wi-Fi, housekeeping, noise-controlled office, parking and networking events. 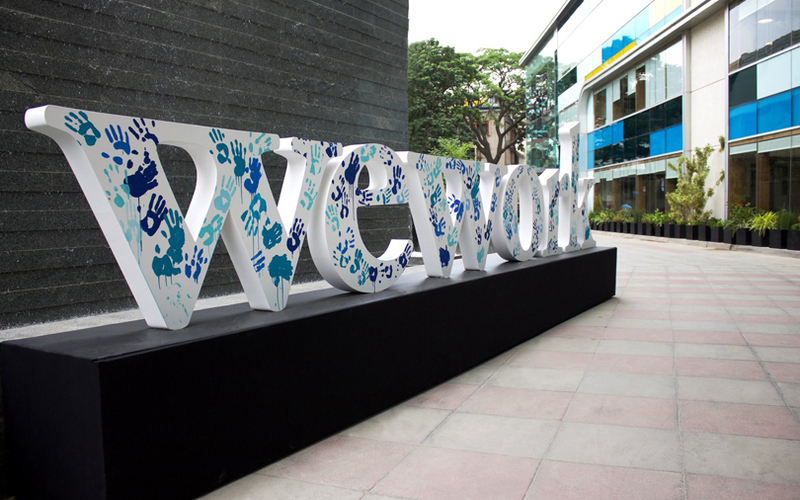 WeWork India is led by Virwani, the scion of office space developer Embassy Group, and Juggy Marwaha, who was previously managing director - south India at Jones Lang LaSalle. Apart from startups, WeWork offers its shared workspace to large enterprises looking to set up micro teams. Globally, it houses many companies, including Bacardi, Samsung, HSBC, General Motors, Sprint and KPMG. Software major Microsoft has taken a 500-seat space at WeWork’s Bengaluru facility. The workspace also houses Meghshala, an NGO that creates engaging lessons for students, uploads them to the cloud and has teachers invoke them in classrooms using tablets and handheld projectors. WeWork aims to reach out to entrepreneurs, freelancers, SMEs and startups across e-commerce, IT/ITES, retail, FMCG, healthcare, legal and marketing segments. Founded in 2010 by Adam Neumann and Miguel McKelvey, the firm is now valued over $17 billion, making it the eighth most-valued startup in the world, according to a ranking by The Wall Street Journal. The company claims to be adding 10 to 15 locations per month, and currently has 149 locations, spread across 45 cities in 15 countries, including the US, Israel, the UK, The Netherlands, Canada, Germany, Mexico, China, South Korea, Australia, France and Brazil, housing over 120,000 and more than 10,000 companies. The concept of co-working seems to be thriving in India and the entry of WeWork will heat up the market. The firms which are operating in the segment include Awfis, Innov8, 91Springboard, BHIVE, Numa, CoLife, InstaOffice and myHQ.